Last days of my pregnancy are weird: days are passing by slowly and the sense of time has been suspended. I feel like i live in a “bubble“. Every time i perceive a different signal from my body i get nervous, but then nothing happens. Who knows, maybe tonight the baby will come! In the same time there is no doubt that my pregnancy since the beginning was great. No pain or nausea at all, i’m still feeling very good and my belly as a pregnant is not heavy to carry. I can say that last 9 months were probably the best of my life! During the very last days i’m spending time for my blog and projects, i already know that i’ll have few time after he arrived. 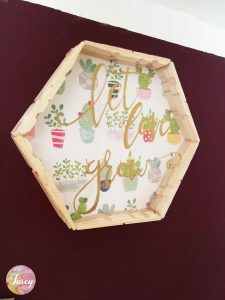 Continuing with my last blog post about how to use cheap materials like clothespins, here are new photos of another DIY FRAME. Have a look and leave me a note if you appreciate it. 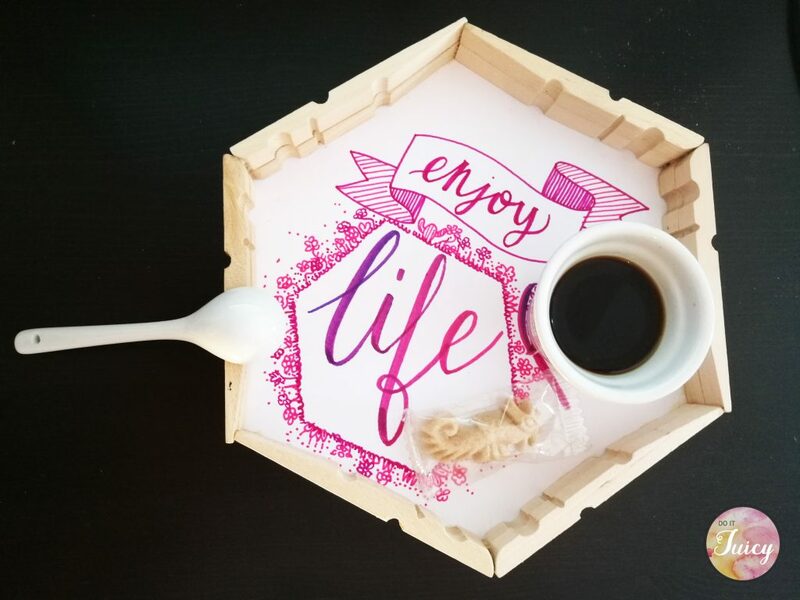 The process to make this tray is very simple, is explained in this previous post – just follow the link . 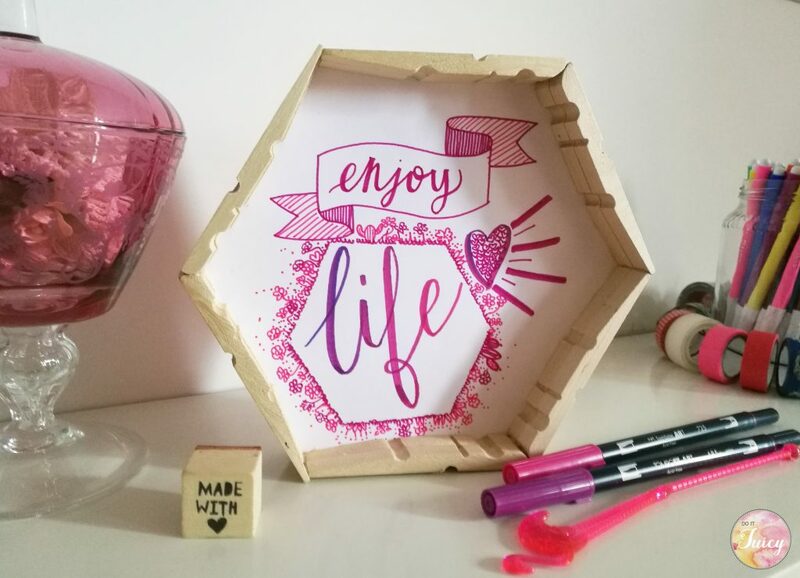 The DIY frame can be personalized as you prefer, with a photo or whatever you like. In this option the frame is finished with a calligraphy i wrote using some Marvy Uchida markers, i love them! 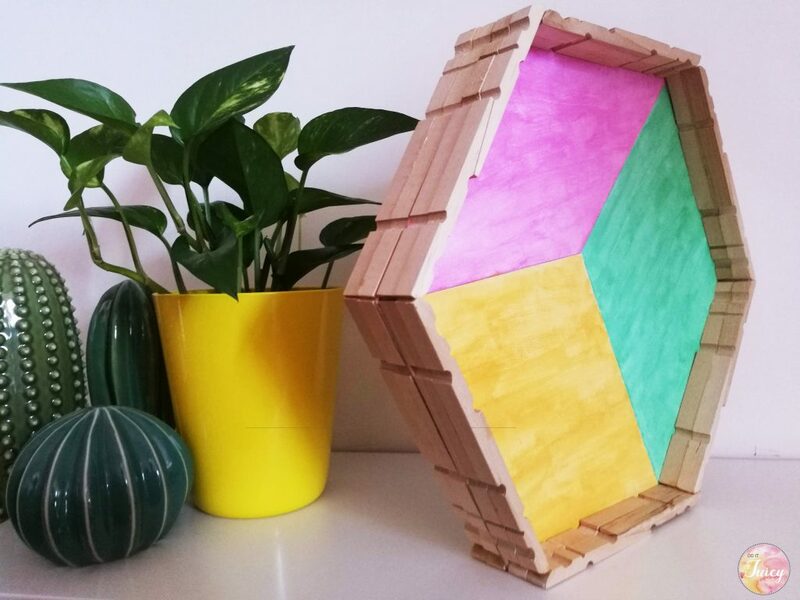 There are many possibilities to use this DIY object, you can put it standing on a shelf or use it as a frame on a wall. I like the colors and the contrast with my bedroom’s wall. 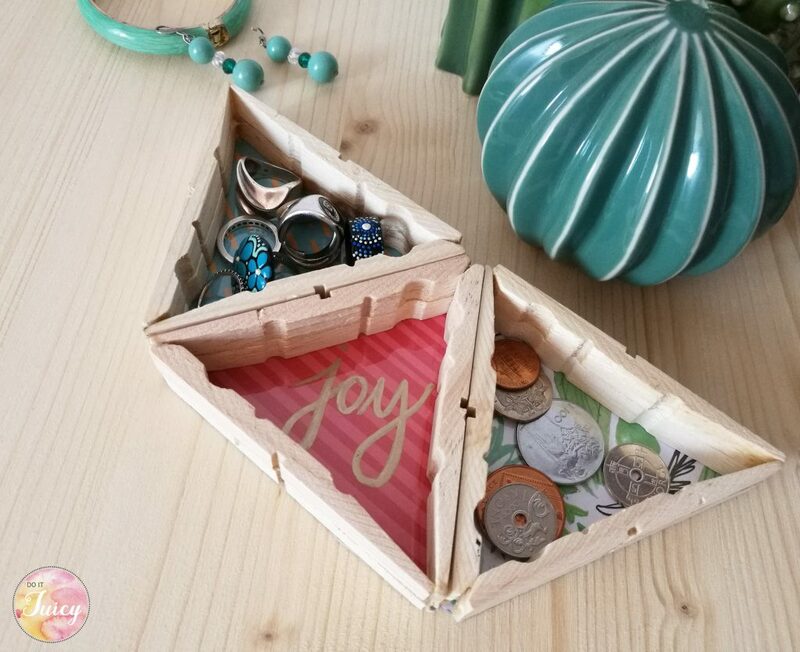 This new post is about “how to make a DIY TRAY” using cheep tools. 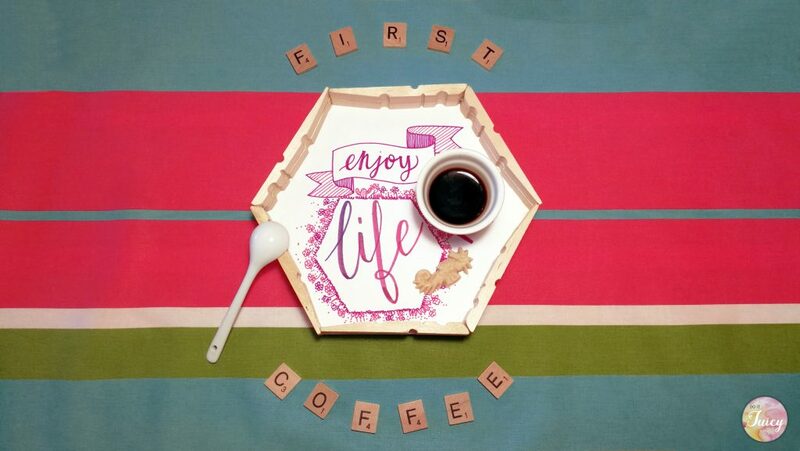 The process i followed to make this tray is very simple. a nice picture you like or a photo to insert inside . 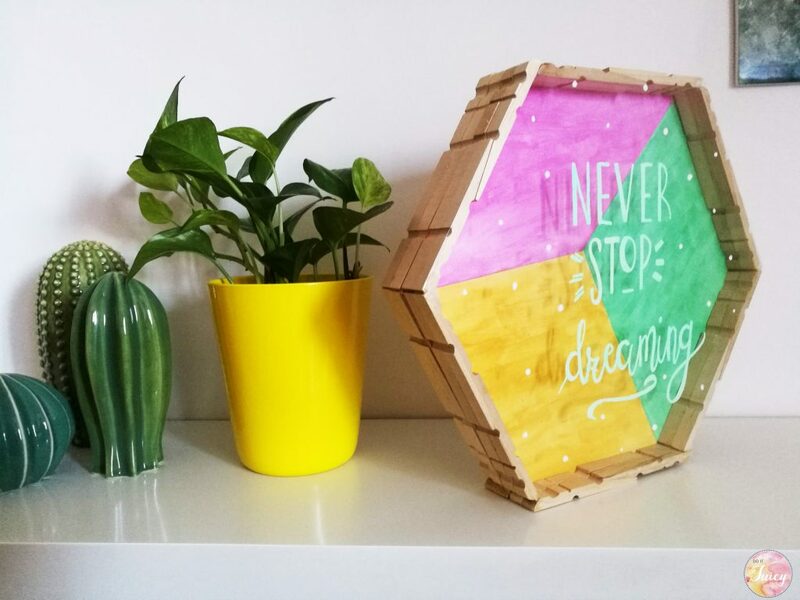 I’m keep working on my last idea: “how to make a DIY FRAME” using only cheep tools you can find in your home. 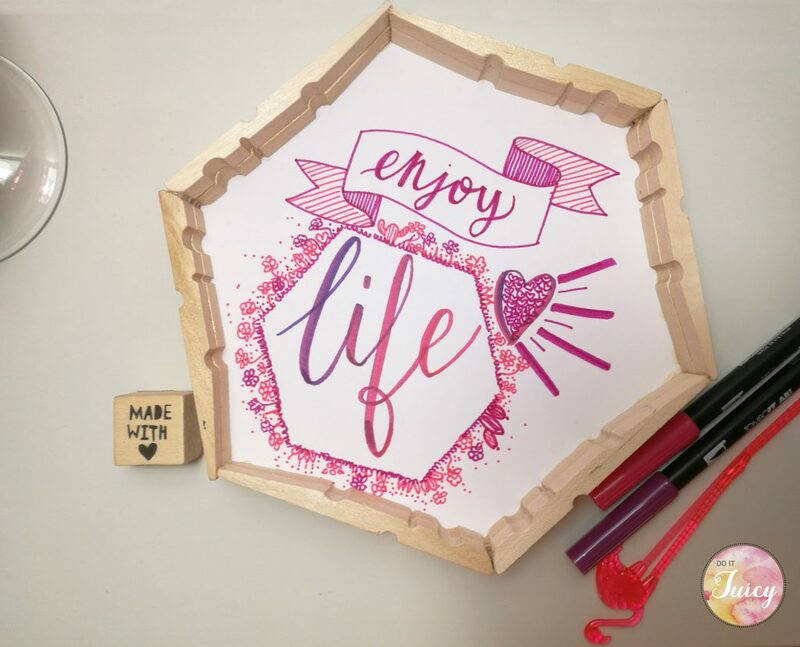 Following i’ll show you how to make a frame using only wooden clothespins in two different sizes. I made my first experiment few months ago (see the picture above), you can find it on this page following this link. 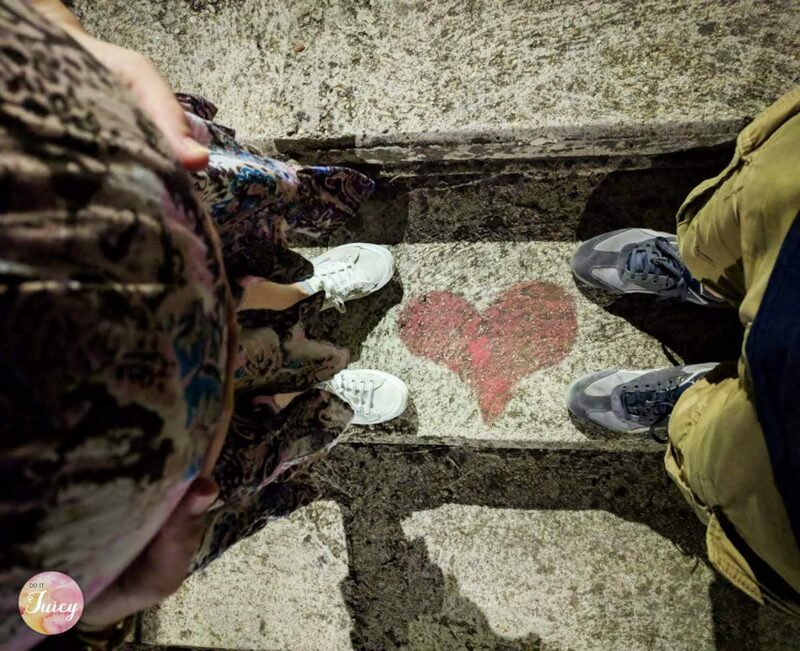 Yes, guess who is expecting…. We are expecting a little one! Me and my husband are both exiting to share finally this amazing news. We are happily waiting for september when the new guest is supposed to come. During the last months i was very busy: tons of things to buy and plan or doctors to meet, and i still have many things to organize. 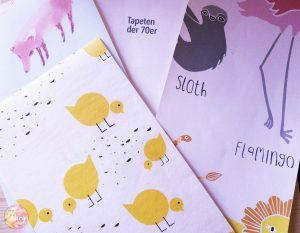 ONE is how to decorate my nursery room, that’s why with this new post i would like to help you ” to choose something special for a nursery room” expecially to decorate walls. The web has many ideas but it’s not easy to choose the best. Chispum is a spanish online store with this motto ” The online store with the most creative, decorative and fun wall stickers in the world. Decorate your house with style and joy.” . You can find very special stickers and wallpapers of different colors and materials. 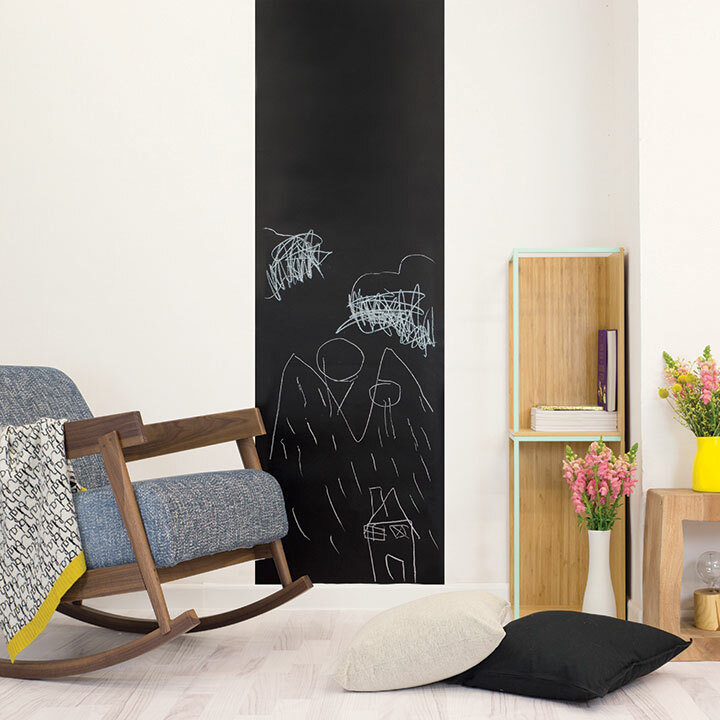 I found very interesting the products in the site section “To draw and color wall stickers” made in chalkboard material or the color wall stickers. I think i’ll buy one when my baby will grow up. Since 1930 Jane Churchill shop is a must with the characteristic english style . 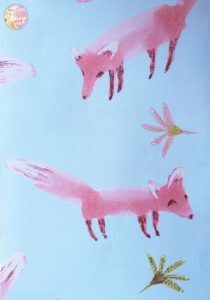 The online shop sells wallpapers and textile not only for kids. 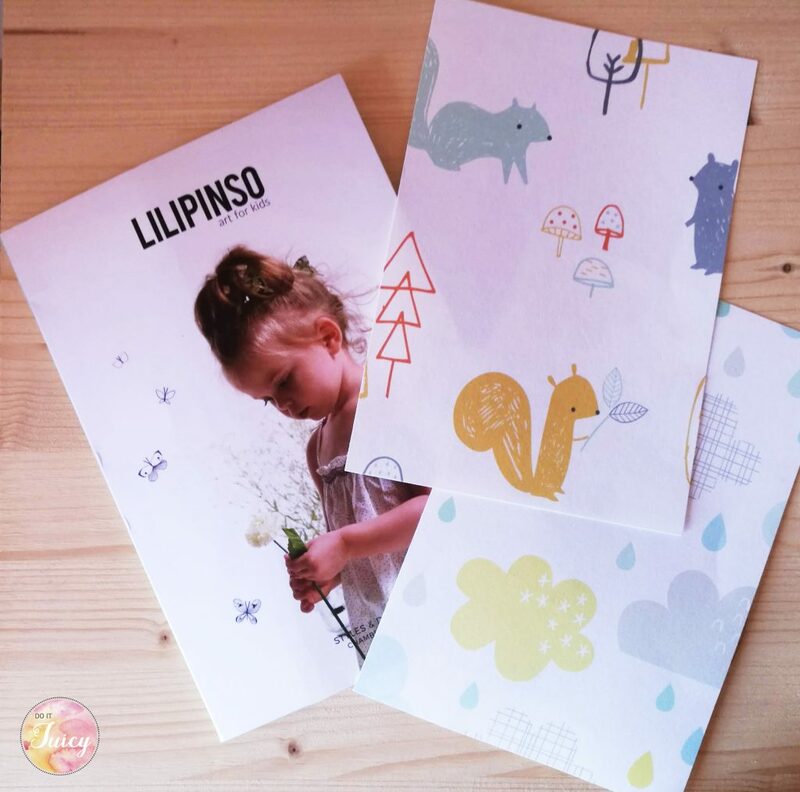 Lilipinso, art for kids, is a french online shop were to find the best designers and creativity solutions for stickers, wallpapers, murals, cards, textile and other many different items for kids. I was looking for my nursery wallpaper and to taste the quality i ordered a sample of two different papers. Let’s guess the one i prefer the most! The best online sellers for wallpapers in my opinion for price, design and quality (and quantity too). I was spoiled for choice , so i ordered the samples above. I’m still SPOILED FOR CHOICE! 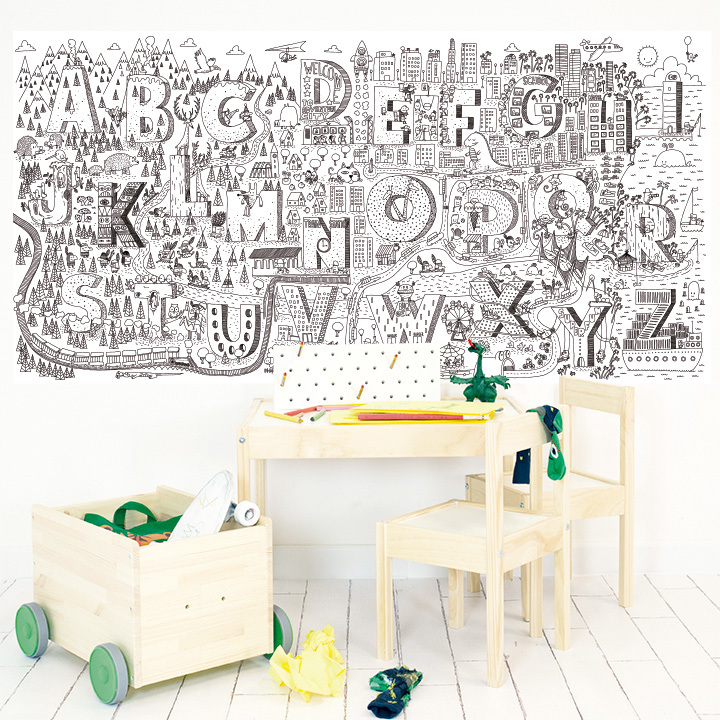 Can you help me to choose the solution for my nursery room? 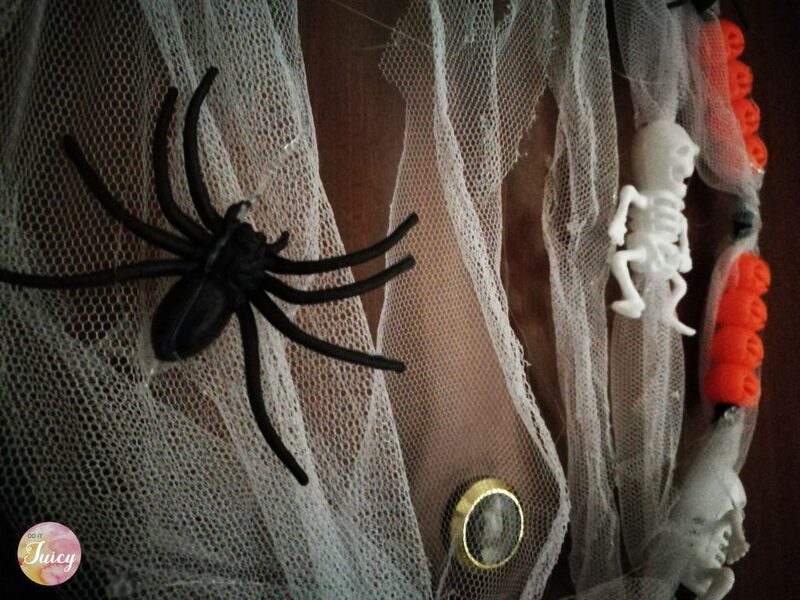 Everything is almost ready for Halloween night. The door’s house is adorned with horrible subjects like skeletons, pumpkins and spiders and the party is going to be funny with my friends. 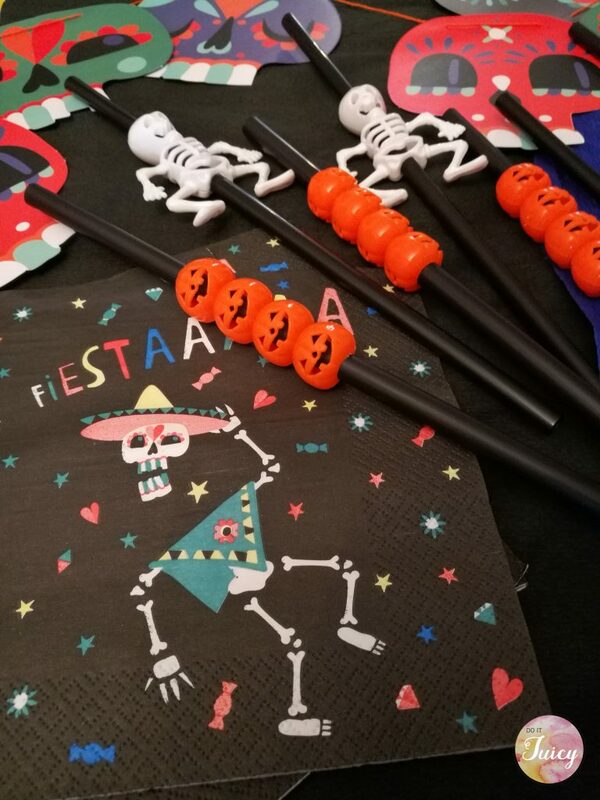 Last day i brought some Halloween straws from Tiger shop (with skeletons and pumpkins decorations) and i realized that will be fun to create something with them. Than the DIY idea : i need a door wreath! 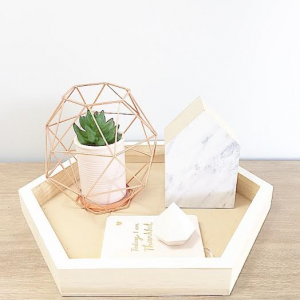 Today i’ll show you how to make a “nordic style” DIY tray. Why you should spend money if you can buit it by youself? Let’s talk about it! In this period i’m totally in love with geometrical shapes, expecially triangles and squares. Maybe it’s for my “professional deformation”. Did i told you that i’m an Architect? 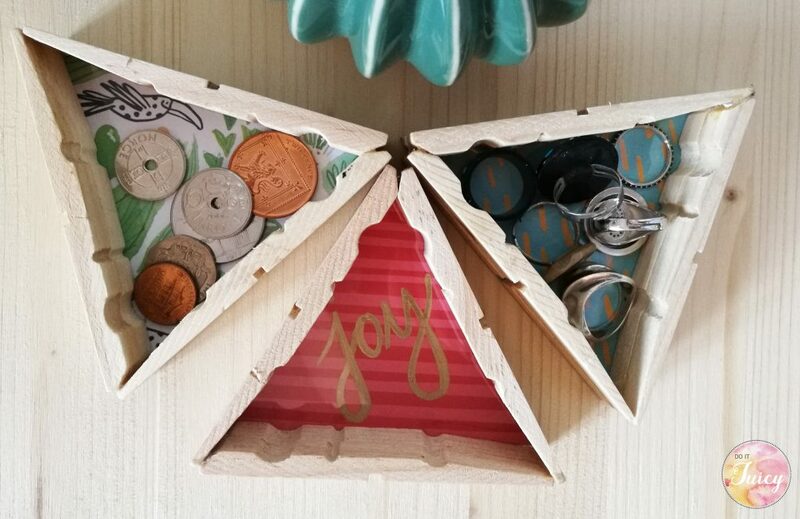 Today i’ll show you this new DIY idea i had by mixing together CLOTHESPINS and TRIANGLES. a nice drawing you like. 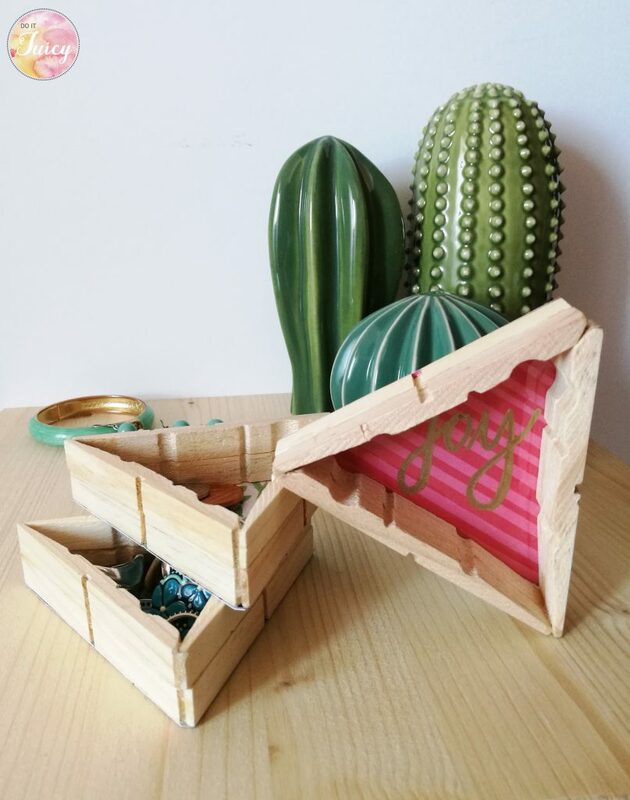 Have you read my last post about “how to make a DIY triangle boxes” from clothespins? If not here you can find the link. but it’s quite the same to make the haxagon. 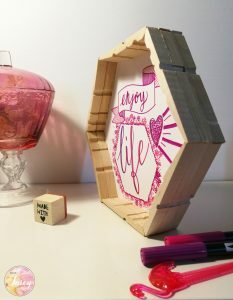 I only used a white cardboard to write “enjoy life” and on the back a pink one that i shaped as an hexagon. The size dipends on the one of clothespins you use, one side of the hexagon is about 10 cm. This is the first prototype and i like it in it’s semplicity, next time i’ll sure make a new and bigger one using two clothepins for side. place it on a shelf. How many others different solution you can find? 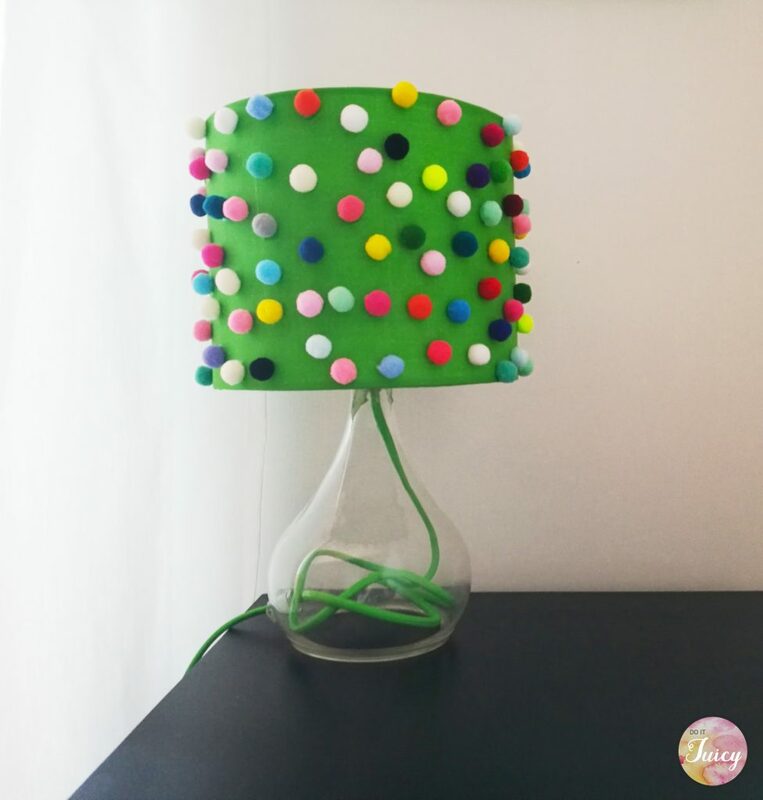 If you don’t like the color you can easily change it because wooden clothepins can be paint. 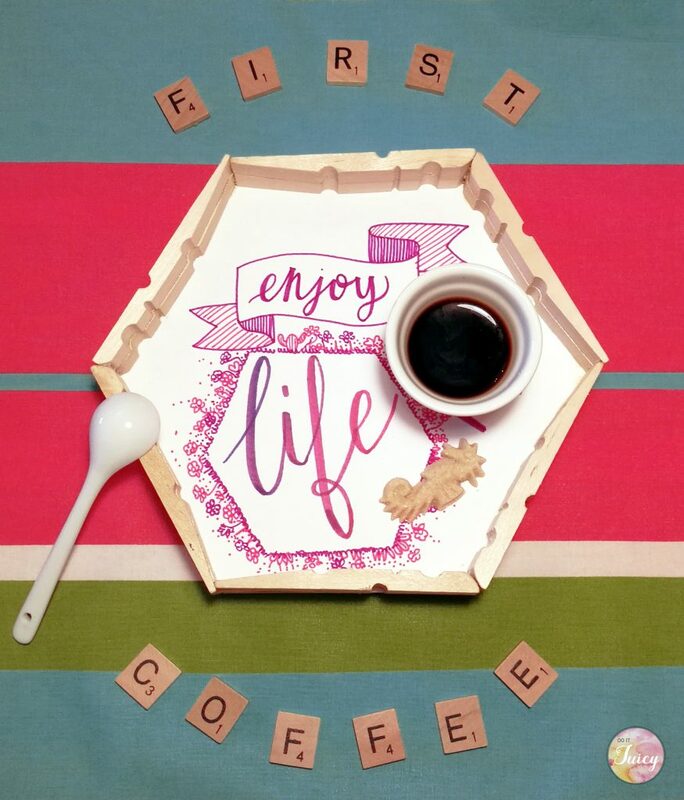 Well this moring i had a really dark cooffee, and it was nice to use this DIY idea as a tray, isn’t it? 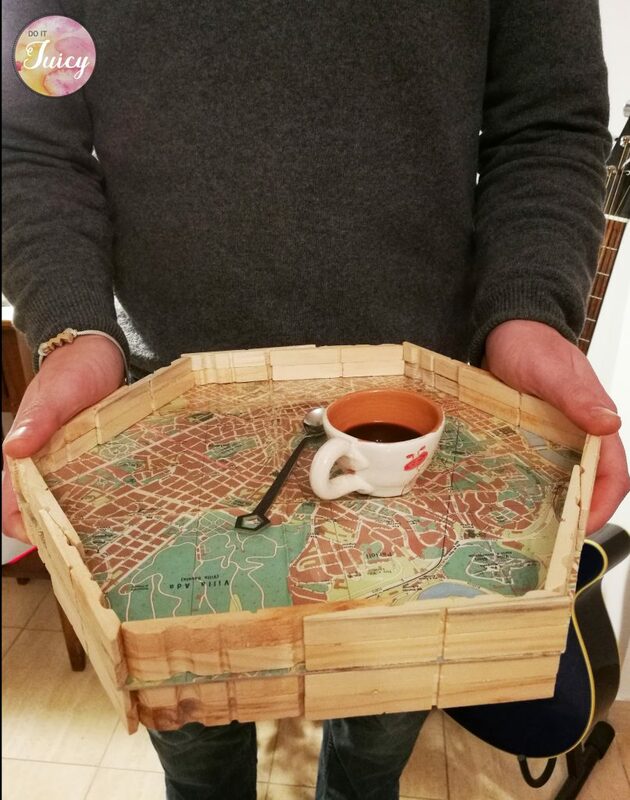 I’m italian, the coffee is a must, i can’t even imagine a mornig without it! Please feel free to share and talk about this idea! 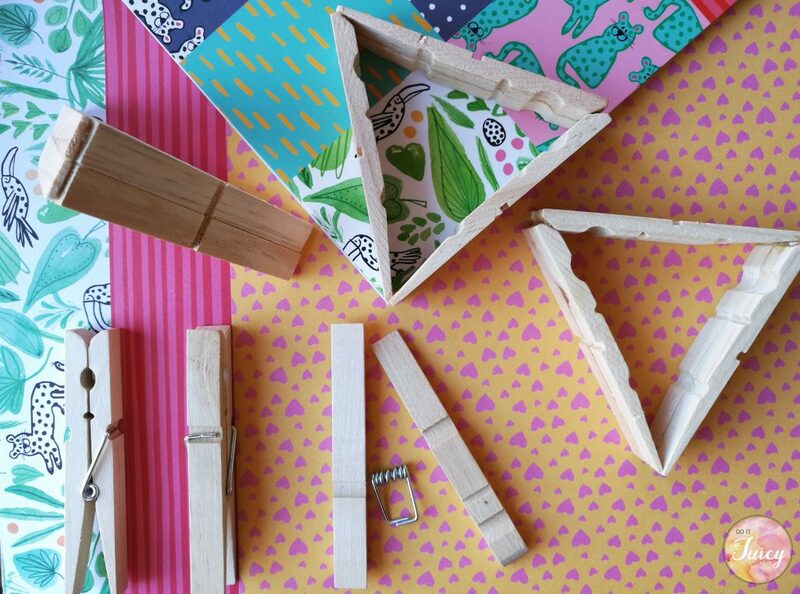 How can such a simple object as a clothespin can be transformed in so many crafty ideas? Wooden clothespin can be used not only for hanging the wash, but also for many different crafty ideas. 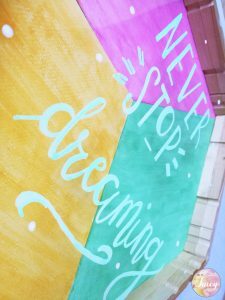 I always look on Pinterest and web for inspiration but i do not copy other’s ideas and projects. What i learned in this first year of blogging is that it’s not easy to be different and share new solutions. It’s exciting when a new idea come! Follow the picture above to make it from different clothespin. 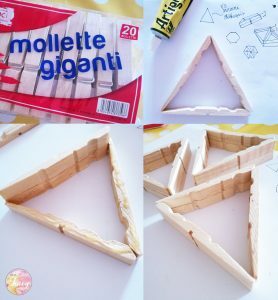 Simply glue together three of them and use a cardboard to close one side. I have a beautiful cardboard book from Tiger shop that was waiting to be used for a project. I choosed three different decorations for the back side. 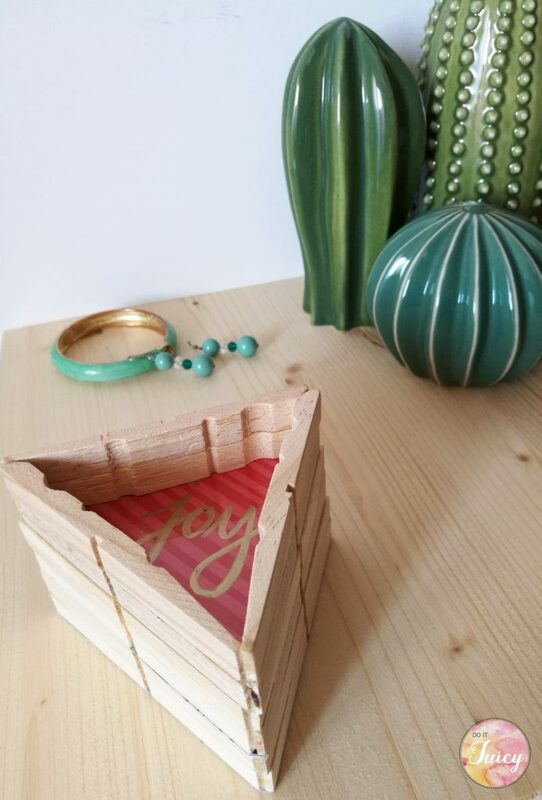 This is the final look of the triangle boxes , i use them in my bedroom to store my precius rings and jewels. Do you like it? Please write me or share your ideas with the #doitjuicy and have a look to my page. 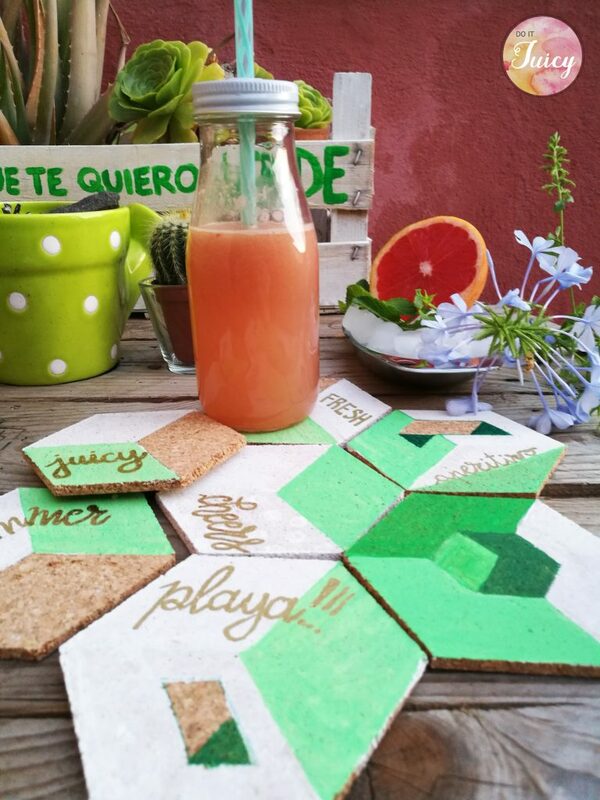 Did you read my last post about DIY drink coasters and a special summer Juice? If not …well it’s time to “fix” your lack ;). 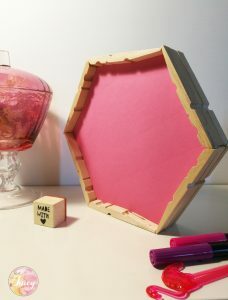 Here you can find my DIY post where i explain how to create the FAB drink coasters in the pictures above, made from an Escher drawing. You still can use them on your table and enjoy with a sweet juice and your friends. 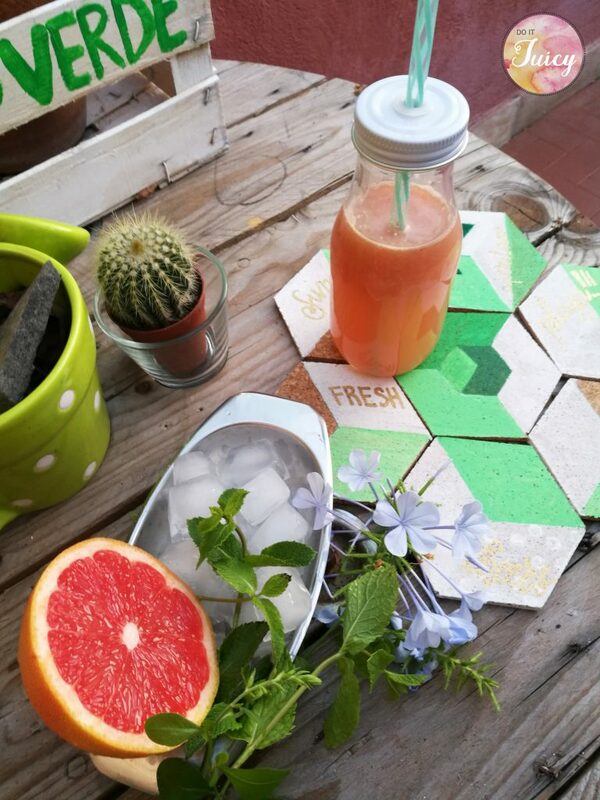 Summer in Rome is very hot, if you can’t go to the beach the best solution is to drink a cold juice on a terrace. The Juice in the picture is a very simple making Grapefruit Juice made with a juice extractor. 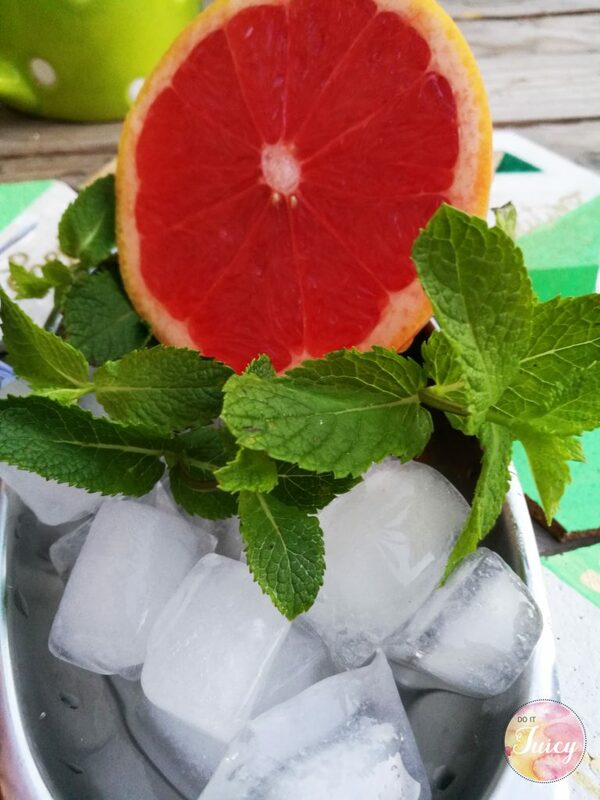 grapefruit and cucumbers, mint with some added ginger and mint leaves. The cucumber is perfect ’cause gives hydration to carry you through the sweltering heat. 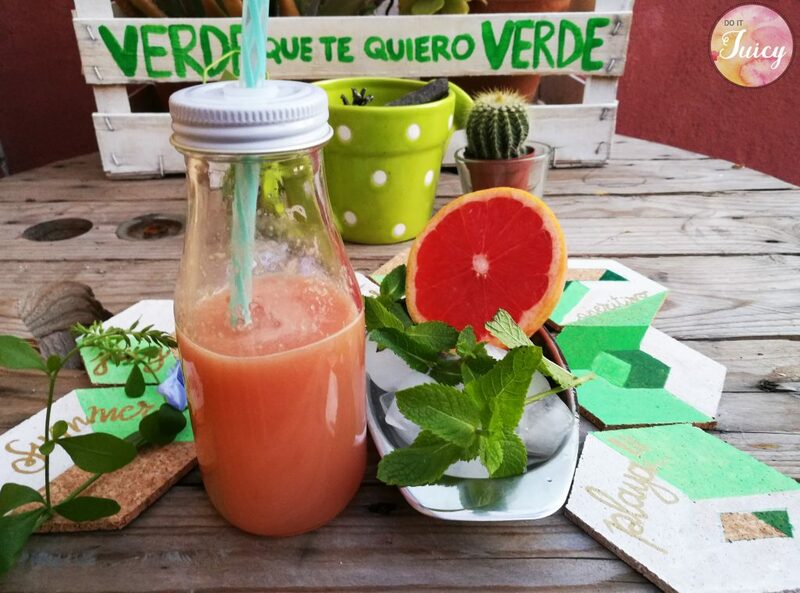 Here you can find another Juice recipe idea based with oranges and apples , perfect for summer time, Check it! 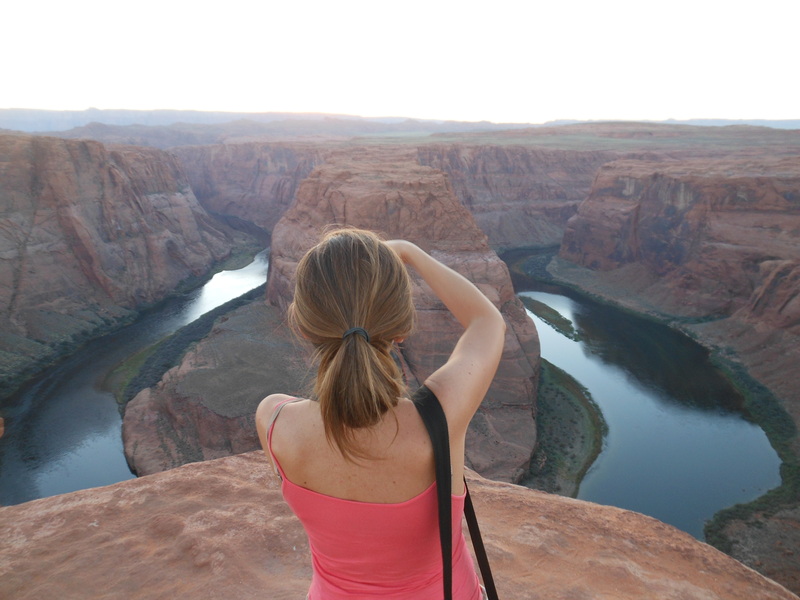 And even if my holidays are gone…i think Summer is a state of mind. 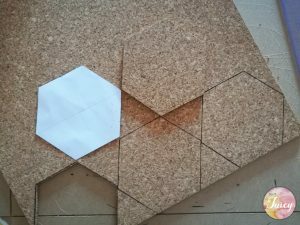 Escher: a challenging DIY project for me! The peculiarity of this project is that my idea came out from a Escher’s beautiful drawing : ” Metamorphosis”. 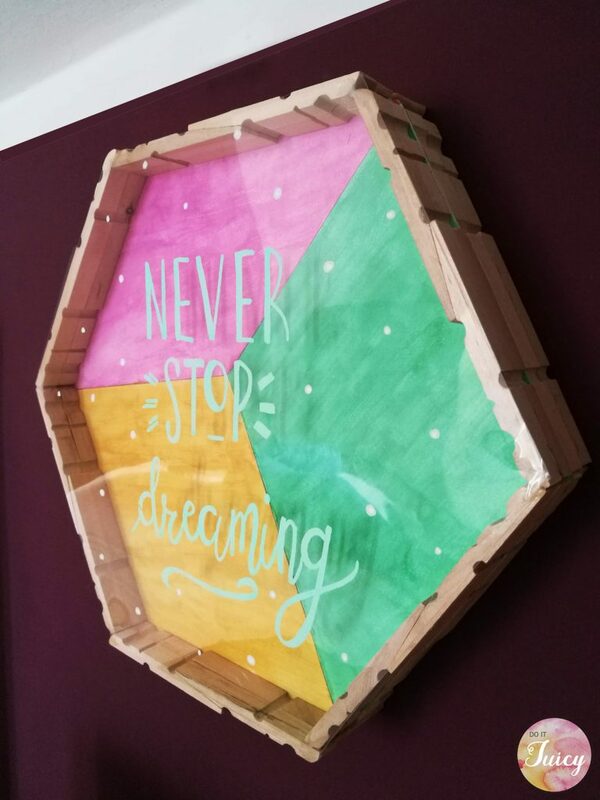 Last 21th of June was the first day of Summer and i wanted to make a new DIY project perfect for this period. I love Escher but “never in my life” i could ever imagine that his visionary drawing would fit in my idea of a simple drinks coaster. 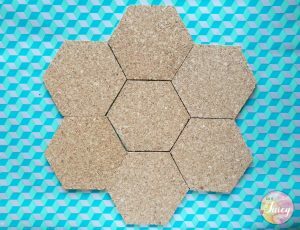 Starting from a cork sheet i’ve cut off different hexagonal pieces. 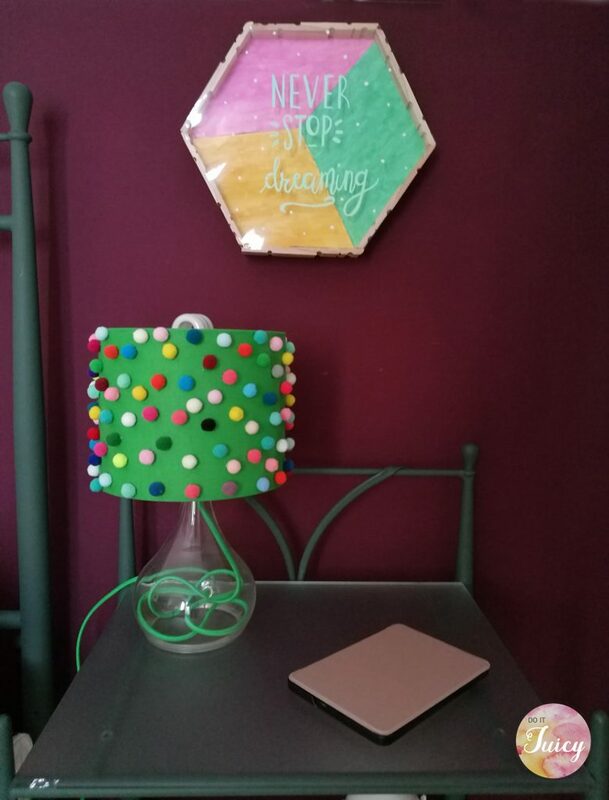 Pimp your lamp : DIY idea to renew a lamp.